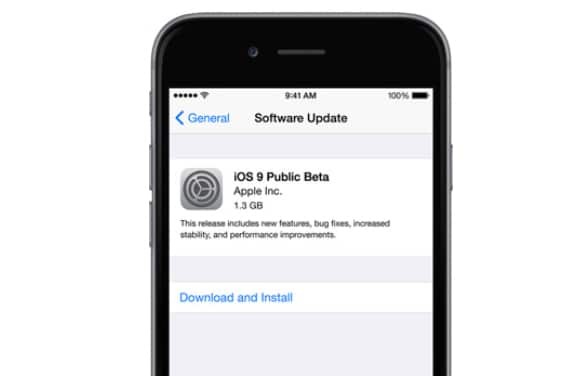 Update: Apple announced that their official iOS 9.3 firmware will be released to the public, later on, today. If you get a chance to get the upgrade but for some reasons not happy with it, you can use the following methods to restore back to earlier iOS version. Although iOS 9.3 promises a lot of good features, 9.2 related problems left a bad taste in our mouth. There are a number of us that are still recovering from wi-fi issues, battery drainage issues etc related to the 9.2 upgrade. For the most part, the iOS 9.3 seems to be holding up well when it comes to performance. UI lag has been reduced quite a bit and spotlight search opens every time without slow down problems. Folks that have the iPhone 6S Plus can really see the difference in speed as the 3D animations are pretty smooth. There is also more built in security features around the stock applications, particularly with Notes. The Night Shift setting is definitely a much needed one as you can see from our article that we covered yesterday. However if you are experiencing issues with the iOS 9.3 Beta in that you are seeing even more, problems for your iPhone, iPod touch, or iPad, here is how you can downgrade back to iOS 9.2 and wait till the 9.3 public release is out. 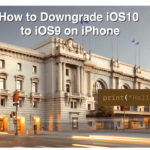 If you think that iOS 9.3 isn’t for you, this tutorial will guide you through each step to downgrade back to iOS 9.2 using iTunes on either Mac or Windows system. Before we get started, you may want to make a backup of your device. This is just to ensure that if something went wrong during the downgrading process, you can always revert back to your normal iOS 9.3 without losing any applications, images, and other data. 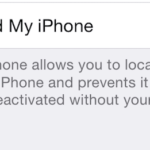 To create a back up of your iPhone or iPad, simply go to Settings > iCloud. 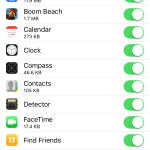 There you will be able to pick each individual data you wish to include in the backup. Once you get that out of the way, let’s get going with the downgrade. This process usually takes around 15 to 20 minutes so please be patient and don’t interrupt it. Once your iPhone or iPad is restored back to iOS 9.2, you should see it running as normal again. By the way, I asked you to make a backup of your iOS device earlier and I hope you did because all you see on your device right now is a clean iOS 9.2 firmware. In other words, only stock applications are available and nothing else. You can load your backup by going back to iTunes and select Restore from this backup. 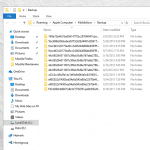 Choose your archived backup that you made previously before upgrading to iOS 9.2. FYI, I have updated two iPhone 5, one is mine and the other is for my girlfriend. I first updated my own device and had it successfully without having any issues (hopefully) as of this moment. But my girlfriend’s device had the problem searching for signal a week after the update, which is I’m trying to figure out what might triggered it as there were no unusual activities happened after the update. It just happened out of nowhere. Hi I updated to iOS 9.3 then after a week I lost my signal, done every possible solutions like reset network settings, setting it up as new iPhone, playing with the time and date etc. and my signal comes back after a few minutes or hours, issue also comes back, searching and keep on searching. Would not permanently fix the problem. I’ve updated my Ipad 2 to 9.3 and now it won’t let me access anything, I can search up a webpage but as soon as I click the link it freezes or does nothing. I can’t download Recboot because of this. 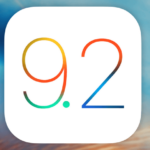 I’d like to downgrade it back to 9.2 but without being able to install Recboot to my Ipad I’m not sure how to do it. Any ideas? I recently upgraded my iPhone 5S to IOS 9.3. I then had a swollen battery problem diagnosed by the local Apple Store Genius Bar staff. They offered me a replacement 5S for a good price. I booked a later date for an appointment at the same Apple Store for the swap over. The day before I went to the store I backed up my phone to iCloud as recommended. When I got the new phone it came with IOS 9.2.1 installed. I tried to restore to the most recent previous backup – the one done while I was using IOS 9.3 but it was inaccessible (greyed out). How do I restore that backup? my iPad 2 is stuck on activation so i can’t do anything and even iTunes says ‘iTunes was unable to verify your device. Please disconnect and reconnect your device. If the error persists, please visit your nearest Apple Store for assistance. To find your nearest Apple Store, click here.’ what can i do then? I downgraded to 9.2 on iPad Mini. I still get message tthere is SW update avaiable which is a Beta 9.3xxx. Beta profile was deleted long ago. How can I stop getting notification to upgrade iOS to beta? It seems you CANNOT restore your content and settings from the 9.3 backup, back on to the 9.2 fresh install. The backup “Mike’s iPhone 5” cannot be restored to this iPhone because the software on the iPhone is too old. 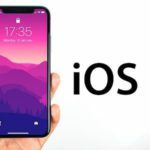 To restore this iPhone from this backup, you must first set up the iPhone as new and restore the software to the latest version. Did you assume in your article that you could restore your content and settings from your 9.3 backup, or did you actually test it out and confirm it? This was tested. 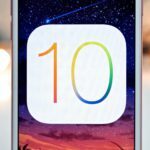 The issue that I think transpired was that Apple released 9.2.1 after this article was published. Good luck!